A preacher and a disc jockey walk into a bar.... or something like that! Ronnie Merrell is a pastor at Heights Church in Prescott, Arizona. In high school Ron had a difficult decision to make between a life in the church or a career as a stand up comedian. Something you probably don't know about Ron is he earned a few bucks in college writing jokes for Jay Leno's Tonight Show monologues. Bo Woods is a 25-year broadcasting veteran, including stops in Los Angeles, Dallas and San Diego. Something you probably don't know about Bo is he actually made a "love connection" on the T.V. show of the same name. 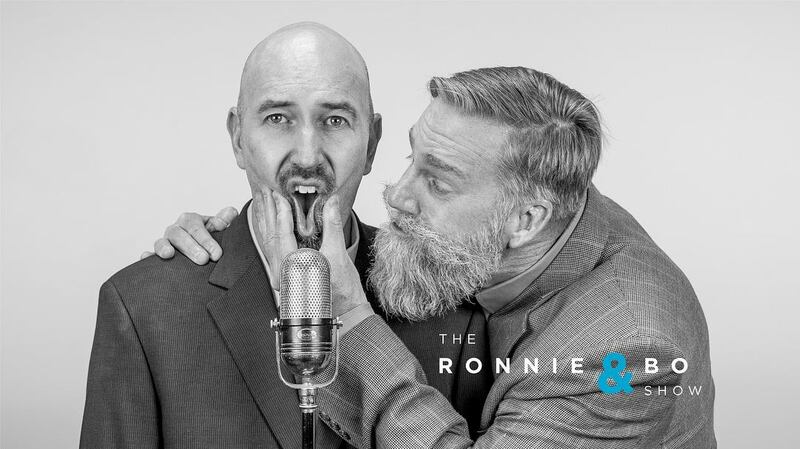 Contact us at 928-277-2704 or email ronnieandboshow@gmail.com.